The invoice price & true dealer cost are not the same. 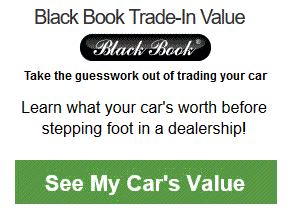 The true dealer cost of a Hyundai Sonata is lower. Note: The Hyundai Sonata pricing report below does not include rebates or incentives. 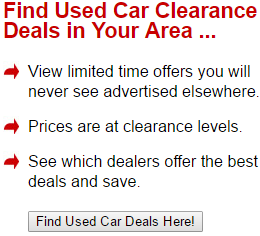 View Hyundai Rebates and Incentives. Hyundai Sonata Prices - How Much is a Hyundai Sonata? In the very competitive midsize sedan market, the 2019 Hyundai Sonata manages to stand out as a great buy. It offers enough power, plenty of space, and some of the newest safety and technology features. The new Sonata represents a good option for consumers seeking an affordable vehicle that does not skimp in any of the areas that count. This vehicle is part of the sixth generation of Sonatas that was first introduced in 2015. There are no major changes to the new 2019 model. Not only is there plenty of room for passengers in the new 2019 Hyundai Sonata, but it also has plenty of space for gear. Five adults can easily ride comfortably in this vehicle. The front seats feel spacious and airy. Those in the back will not feel cramped either. As for cargo, there are more than 16 cubic feet in the trunk. This is larger than many of the Sonata's competitors. Those interested in top-of-the-line technology features should consider the new Sonata. Even the base level infotainment system has a lot to love. It features a 7" touchscreen, a six-speaker audio system, and Bluetooth capability. As drivers move up the trim levels, they can add even more impressive features. These include a wireless charging pad, and 8" touchscreen, satellite radio, a 9-speaker premium audio system, and navigation. 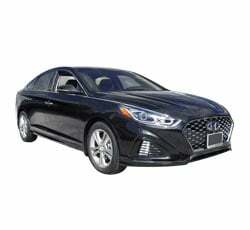 Although not powered by the biggest engine in its class, the 2019 Hyundai Sonata offers drivers good acceleration, particularly when equipped with the 2.0-liter engine. This engine can go from 0 to 60 in just 7.4 seconds, a very respectable number in this vehicle category. The body roll is well-managed and gives drivers confidence when cornering or driving on a twisty road. Hyundai revamped the suspension for the Sonata in 2018, making for a much smoother driving experience. This was carried over to 2019. Overall, the new Sonata is easy to drive in any conditions. The 2019 Hyundai Sonata can be considered a smart buy for two important reasons. First, it is part of the generation of Sonatas that have earned higher-than-average ratings for reliability from J.D. Power. Second, it got 5-stars from the National Highway Traffic Safety Administration in the overall crash test. This vehicle comes with many standard advanced driver assistance safety features, such as rear cross traffic alert, blind spot monitoring, a rearview camera, and lane change assist. Other features that can be added include pedestrian detection, automatic headlights, rear parking sensors, adaptive cruise control, and automatic emergency braking. No matter what the consumers budget and list of needs, there is likely a version of the new 2019 Hyundai Sonata that will work for them. SE: This base level trim comes equipped with a 2.4-liter engine that generates 185-hp and 178 lb-ft of torque. The transmission is a six-speed automatic. It comes standard with a 7-inch touchscreen, Apple CarPlay and Android Auto compatibility, blind-spot monitoring, and a rearview camera. Eco: The ECO is very similar to the SE when it comes to features, but has a different combination underneath the hood. It is powered by a 1.6-liter turbocharged four-cylinder combined with a seven-speed dual clutch automatic transmission. Those interested in fuel efficiency will be sure to want to check this version of the 2019 Hyundai Sonata. SEL: With the SEL drivers get LED daytime running lights, heated mirrors, larger 17-inch wheels, heated front seats, and a leather-wrapped steering wheel. It is powered by the same engine as the SE. Sport: This version of the Sonata has unique styling in both the front and back. It adds a flat-bottom steering wheel with paddle shifters as well as a sunroof. The interior trim is unique and Sport-themed. Limited: The top-of-the-line Limited trim keeps the sunroof but does not have the other things found on the Sport trim. It adds dual-zone climate control, full leather seats, and previously optional safety features. Limited 2.0: This version of the Sonata is exactly the same as the Limited except with a larger engine. It is powered by a 2.0-liter four-cylinder engine and paired with an 8-speed automatic transmission. This combo nets drivers 245-hp and 260 lb-ft of torque. The 2019 Hyundai Sonata is a well-rounded vehicle that would be a great choice for many different consumers. Those in the market for a roomy vehicle with a decent amount of power and good fuel economy should be sure to check it out. Example: Base Hyundai Sonata invoice price + the dealer Invoice price of all the options + destination - Holdback = Total Dealer Cost. Note: All Hyundai Sonata MSRP, invoice and dealer cost dollar figures above are approximate amounts. Prices are subject to change without notice.